Enter your email address below to subscribe to news and updates from The Academy! 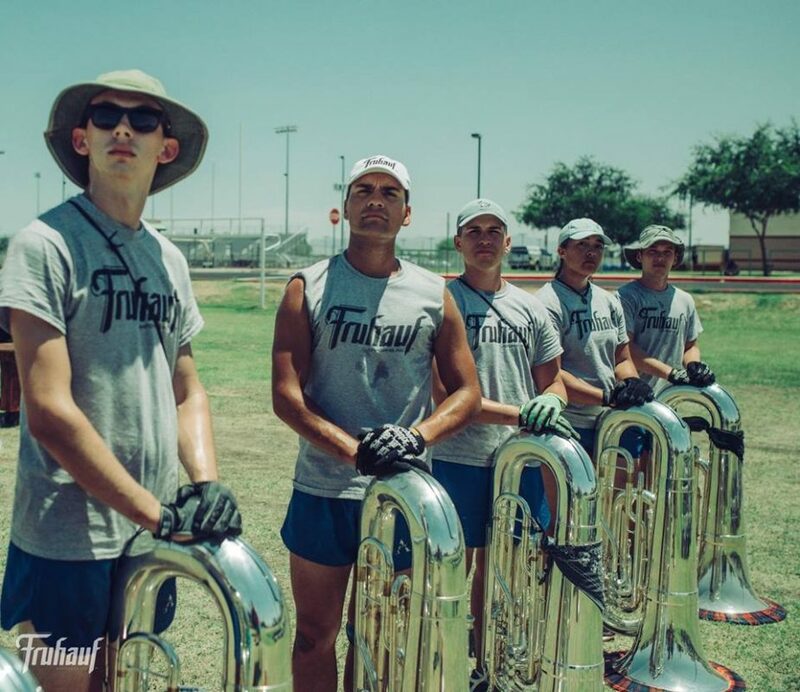 In 2001, The Academy Brass & Percussion Ensemble was formed to give some of Arizona’s finest young musicians an introduction to the incredibly unique activity of drum and bugle corps. Over the course of three summers, the young group of 52-60 performed for several local events and had taken the opportunity to perform in exhibition at its home show, the Southwest Corps Connection. 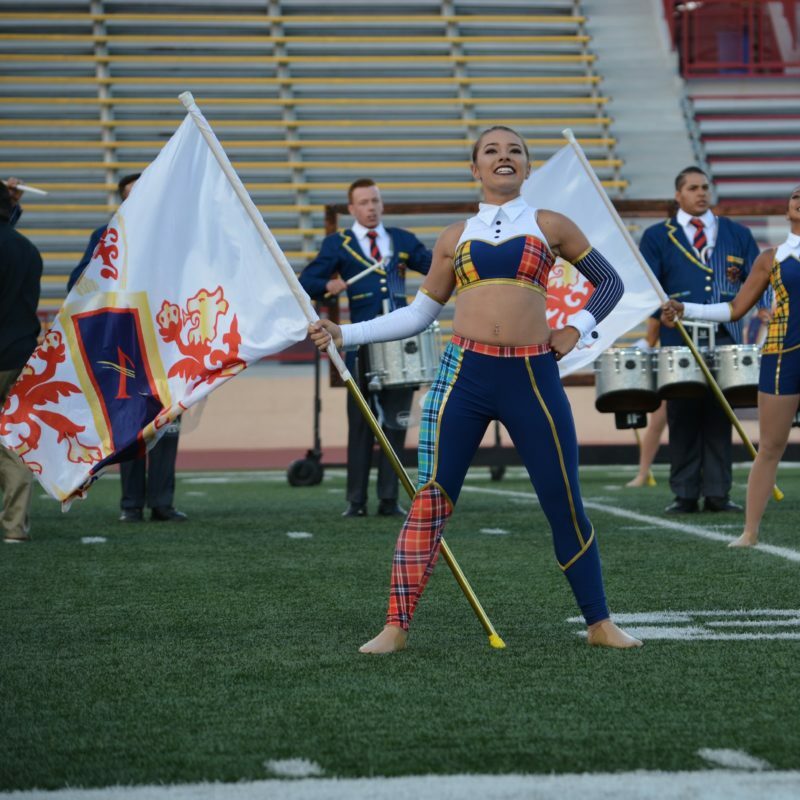 In 2004, the group added the final element of the color guard, was accepted as a DCI sanctioned unit, made the name change to The Academy Drum and Bugle Corps and began competing for the first time. In 2006, the corps had grown to 128 members and competed for the first time in Drum Corps International World Championships in Madison, Wisconsin where they earned the title of Division II World Champion. 2007 marked their first year competing in Division I, now called World Class, where they continue to compete today. In 2009, The Academy was named the official drum and bugle corps of the City of Tempe. 2016 marked an historic season for the corps with its first appearance in World Class Finals competition, placing 11th overall. The corps is well on its way to providing another amazing season to 150+ young adults in 2019. 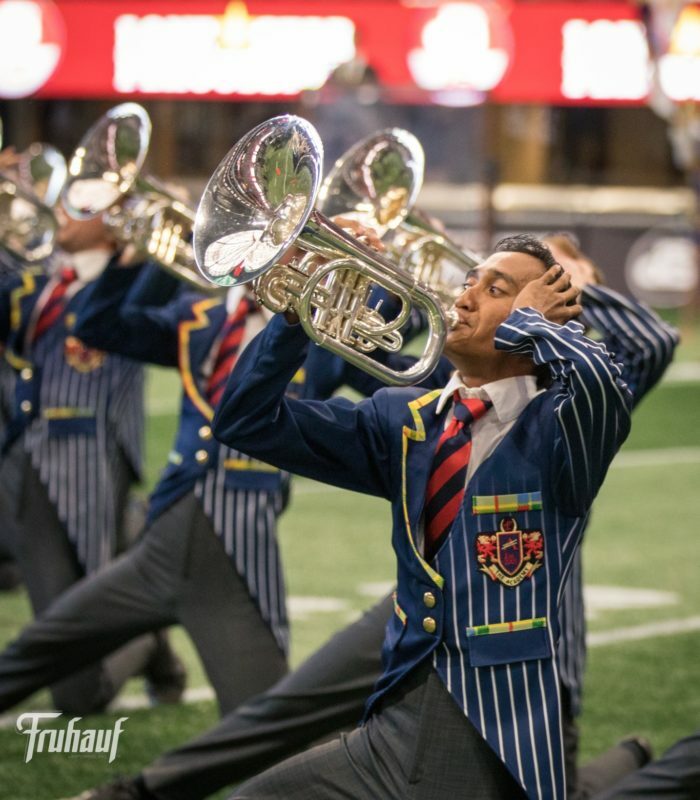 If you are a highly motivated individual, 21 or younger, who is interested in becoming a part of the drum and bugle corps activity, we invite you to audition for The Academy’s 2019 season. Membership acceptance is based on work ethic, character, ability level, and audition results. While the average age of the membership is typically over 19 years old, younger students have been accepted based on their exceptional performance quality and individual maturity. We recommend anyone 16 years and older that is interested in some day participating in our corps, or the drum & bugle corps activity to attend the weekend clinic/audition camp. We will be auditioning for performing positions including up to 76 brass, 40 color guard, and 35 percussion students. Touring alternate members in the color guard and brass section will also be accepted. 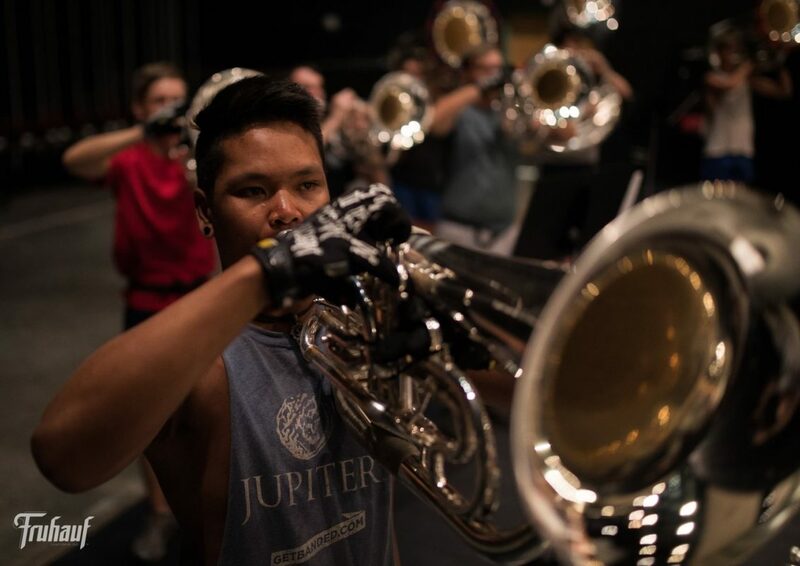 In addition to the 150+ members and alternates, The Academy will be accepting brass members to train with corps throughout the winter and spring who are not necessarily able or interested in engaging in the rigorous rehearsal and performance schedule during the summer. Brass trainees selected will be able to rehearse and perform as a full corps participant throughout the pre-season until the all-day rehearsals begin in June. The brass trainee membership cost is around $450, which includes admittance to all of the training camps. It is a great option for those interested in marching with the corps in the future. In addition to improving performance skills, participants will become more familiar with of The Academy staff and their methods. Those interested in this opportunity should register and attend the audition camp to get more information and begin their experience with the corps. The Academy will also be selecting a group of individuals to participate in a series of Trainee Drumline Masterclasses as well. Those participants will be offered a series of masterclasses held in tandem with the monthly camp experiences in Arizona. More information will be made available at the auditions in December. Percussion Video Trainee Opportunities – Again in 2019, The Academy will be offering the opportunity for percussionists to stay engaged with the corps staff and improve throughout the winter and spring via video. More information will be provided at the audition events for those students interested. Color Guard Trainee Opportunity – Depending on interest and staff availability, The Academy may be programming a color guard trainee experience. Last year was the first successful attempt and we hope to expand upon it in 2019 with classes that would be held on the Sunday’s of camp weekends throughout the winter and Spring. More information will be given at auditions. Returning this Fall, The Academy will be hosting four remote Audition events in Southern California, and Texas. These sessions are designed to allow prospective members who reside a large distance away to audition for The Academy before investing in the expense of a plane flight to attend the full audition or callback camp. Here, students will be exposed to short instructional sessions with members of The Academy staff, where they can learn more about the specifics of The Academy techniques and membership expectations. During the session, individuals who are interested in auditioning for the 2019 corps will be evaluated with a staff member and have the prospect of being offered a membership position or elevated to “Callback” status prior to the callback camp in January. 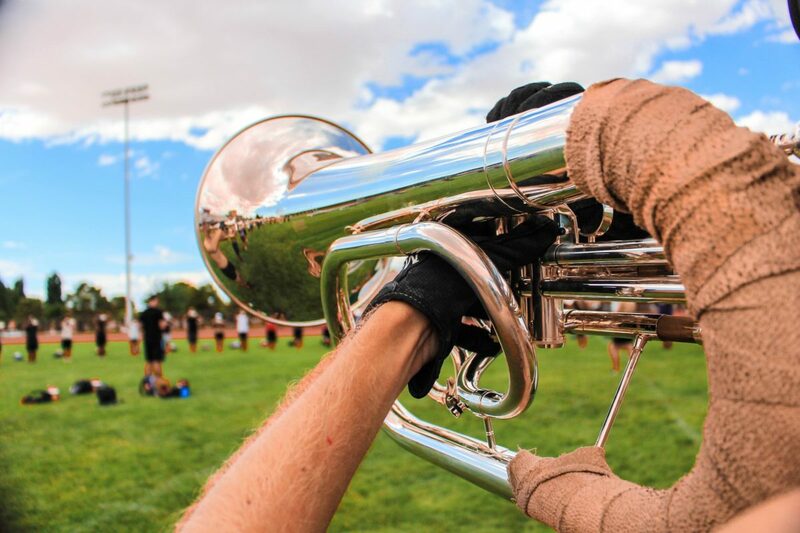 Participants in these Remote Evaluation Events will need to officially Register for the corps and pay the audition fee prior to attending, which will give the student access to the detailed audition materials and exercises to prepare. Registration Fee ($75) and Remote Audition Event Fee ($100) include the instruction for the day and audition t-shirt. The Arizona Audition camps will be held on the first weekends in December 2018. Both audition weekends will be held at Casa Grande H.S. facility just south of the greater Phoenix area. All interested individuals are encouraged to attend the audition camp for their section. 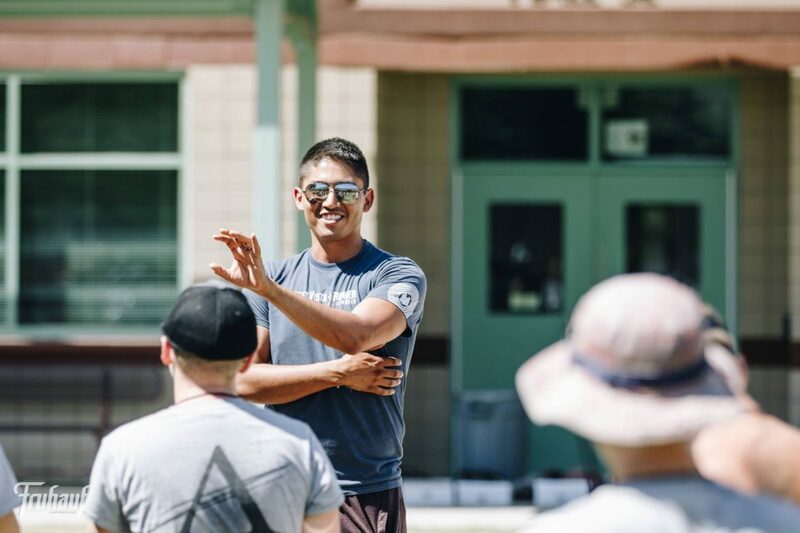 The format of this move-in experience is intended to educate and inform all attendees while providing an opportunity for the staff to evaluate those who are vying for a position in the 2019 corps. Students who are not necessarily able to perform with the corps in 2019, but are hoping to join sometime in the future are STRONGLY encouraged to attend this audition camp. Understanding the physical requirements, technique programs, and work ethic required is the best way to ensure future acceptance into the corps. The more exposure the staff has to the performers, the better the chances are to gaining a future member spot. The cost for the attending the Arizona Audition camp is a one-time $75 Registration Fee (waived for returning members), and ($125) Audition Camp Fee, which includes the cost for housing, food, audition shirt, transportation to/from the airport if needed, and materials for the weekend. NOTE: There is a $25 early bird discount for the Arizona Audition camps if registered by November 23rd, 2018. Camp ends at 4:00pm Sunday. $75 Registration fee (waived for returning members ) and $125 Camp fee includes the cost for housing, food, airport transportation if needed, and materials for the weekend. ($25 discount if registered by November 23rd). If a prospective member would like to submit a preliminary audition video to the staff prior to booking travel arrangements for the audition camp, we encourage them to do so. 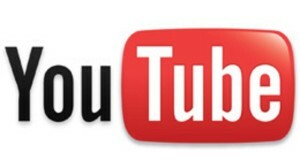 The best way to do this is to upload a video online that will demonstrate the skills required by the staff. This process will offer our staff an opportunity to give the applicant feedback, but member spots are rarely offered based solely on a video audition. We will require all applicants to audition in person for the staff at some point prior to being accepted as a member. For more details and to sign up for as Audition Video Review, go to the video audition guidelines page here. Your school activities take priority over Academy rehearsals. Keeping this in mind, the staff is asking that each prospective member look over the camp dates and summer schedule (available with audition materials) and predict ANY scheduling conflicts with rehearsals & performances before making a commitment. Attendance at rehearsals is paramount in attempting to achieve the highest level of excellence. Every audition applicant of the corps must turn in a preliminary attendance contract form during auditions. This form will be made available to all who submit an online application. It is used to help determine an applicant’s eligibility as a member. Applicants will receive additional detailed rehearsal schedules as they become available. Often called tour fees, the membership dues cover most of the costs associated with the summer experience including meals (other than some travel days and free days), over 10,000 miles of touring, dozens of performances, and hundreds of hours of world class education. After not increasing dues over the past 4 seasons, the financial commitment for 2019 will be likely be programmed with a small increase over what was set last season. 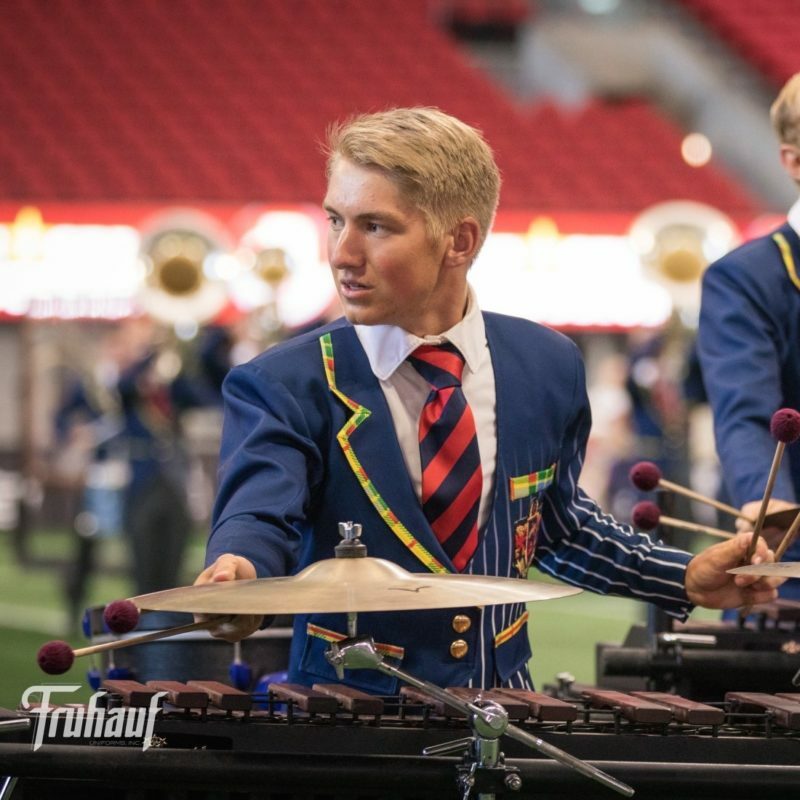 A typical cost for a World Class Drum Corps experience, including all camps, Spring Training housing & food, equipment fees, membership dues, and tour fees adds up to around $4,000. For The Academy members, a minimum monthly payment schedule is required upon being accepted as a member of the corps. Discounts are also available for early payments and scholarship program for returning members. Details will be made available to audition applicants upon being offered a membership position within the corps and developed as the 2019 budget planning is completed. Questions? Who do I contact? Ask a member! Join the Facebook group 2019 Academy Interest Group and ask current member anything you need to know about the audition experience.